Gougane Barra Hotel is a beautiful boutique hotel resting by the side of Gougane Barra Lake and Small Church, the most peaceful place on Earth. The hotel was built in 1936 and has retained most of the original features which adds to the character of the building. Strangely enough the renovation of the hotel didn’t start from the reception area. First we tackled the bedrooms, then the lounge and the sitting room, and this year we’ve decided to breathe the new lease of life to the entrance room. This sequence helped us to develop the individual style and character of the hotel so by the time we got to the ‘face’ of the house, we already knew how we wanted it to look. Hotel owners Katy and Neil have they own style that is unique and very colourful, so our task was to make all the colours work together. The tiles in the reception area are the original tiles so we had to integrate them in our design. The rust colour came to live once we’d introduced bright colours like turquoise, red and orange. 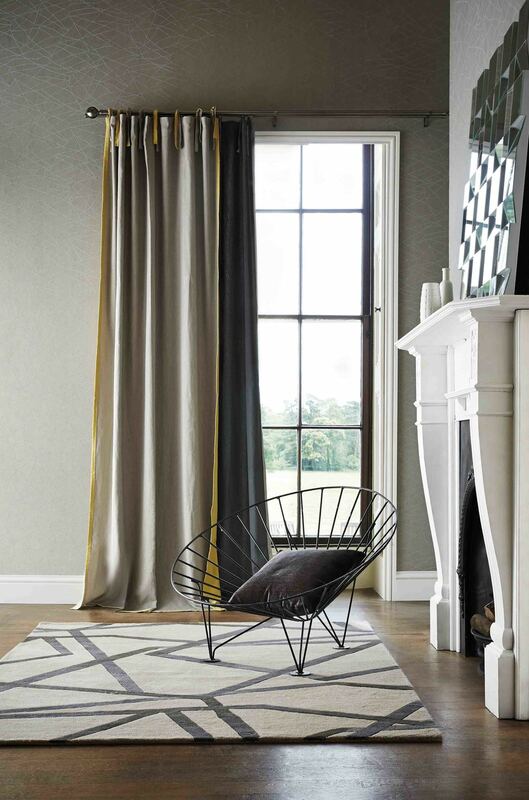 The inspiration for this design was roman blinds’ fabric Samba Charcoal from Jane Churchill. Its rich tones set the palette for the rest of the room. We’ve picked intensive Petrol colour from Colortrend for the front door and chose same colour fabrics for the upholstery of chairs. If you’re looking to reupholster your old furniture but have a limited budged, just mix and match fabrics. 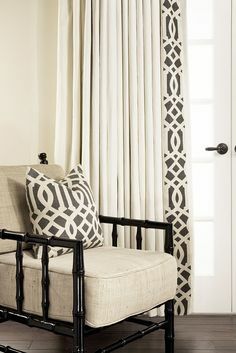 Typically plain fabrics are less expensive so use a little bit of design but pick matching plains to do arms, back or seat. It’s a great money saving trick! This is still an ongoing project so watch the space for more posts from the beautiful Gougane Barra! We always try to help our customers to express themselves. There are few design rules when deciding on a proportion of the banding but otherwise we welcome anything out of the ordinary and unique. Whilst keeping our eyes peeled we uncovered this fab flock wallpaper by Zoffany from the Nureyev collection, called Navarre. Used in the BBC's new Sherlock Holmes series, it appears as a feature wall in Holmes's apartment. Keep your eye out for the Sanderson Finches wallpaper in the hallway too! A tour of the factory provided us with a fascinating look at the processes behind every piece of pottery made by their skilled and knowledgable craftsmen and women.